Irish comic Kevin McGahern is on a quest to find the weirdest sights in the USA. He starts in New Jersey, where he encounters everything from a 50-pound burger to a six-story-tall tin elephant. Medical professionals and patients recount their chilling tales of otherworldly activity inside hospitals, nursing homes and morgues. Paranormal experts and local historians weigh-in to provide unique insight into these terrifying encounters with the supernatural. From past patients seeking revenge from the grave to doctors overseeing their wards long after death, these shocking true-life stories reveal a larger paranormal pattern experienced by hospital staff in every country around the globe. Jamaica is a vibrant, colorful land full of resorts and reggae music. 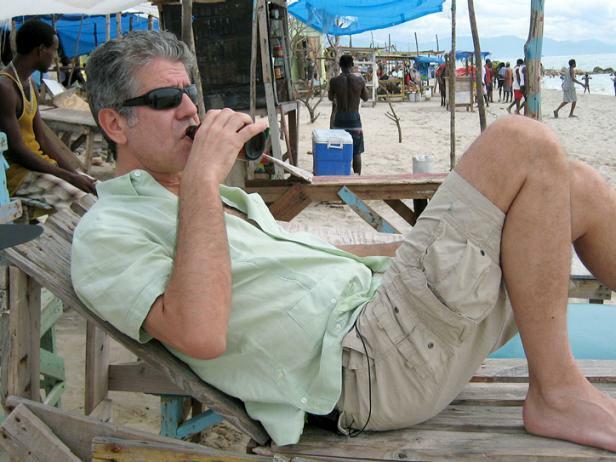 Tony is traveling there to uncover the lesser-known Jamaica. A lab technician is stalked by otherworldly beings in the creepy basement of a hospital, a hospice volunteer with a spectacular gift heals the sick and a paranormal radio show host wakes up in the recovery room surrounded by angry ghosts. A security guard has a chilling encounter at a notoriously haunted hospital, a pediatric nurse discovers a powerful spirit residing in the bowels of a 100-year-old facility and a massive renovation disturbs the spirits at a psychiatric hospital. A new nurse's life is spared when a dead doctor warns her about a violent patient, a hospice nurse finds herself in a tense standoff with a patient's ghost, and repeated encounters with shadow creatures leave a nursing home cook emotionally and physically drained. A family is terrorized by the ghost of an old lady in their new home on a hospital campus. A data analyst's skepticism about the paranormal is shattered when she's attacked by a demonic entity in a hospital bathroom. A hospital administrator and her staff are terrorized by a spectral spirit known as the Shadow Man. A lab technician's cynical skepticism is transformed into pure belief when he hears ghostly cries in the old nursery of a haunted hospital. The owner of a haunted hospital exhibit is attacked by a ghost in his own home, a nurse finds herself face-to-face with the Angel of Death and a pastor sees an evil entity lurking around the deathbed of an elderly woman. A dark past haunts the laundry room of a hospital, a veteran experiences a string of inexplicable events in a MRI lab and a nurse is shaken to the core when she encounters a ghostly visitor on Christmas. A demonic entity follows a couple home from their job at a local hospital, a nurse is confronted by a terrifying reality while visiting her ailing aunt and a husband and wife are overcome by the sudden stench of decomposition at a nursing home. An aspiring nurse is trapped inside a room with a dying patient and the Angel of Death, a young woman shares a hospital room with a bloody-faced apparition and a military x-ray technician is left shaken by a ghostly encounter at a morgue in Iraq. A nurse faces down an unearthly apparition at a hospital, a miraculous recovery may actually be a case of demonic possession at a nursing home and a woman wakes up with the ability to see ghosts after a near-death experience.